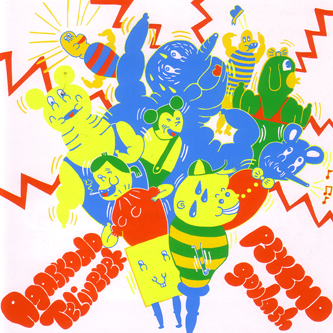 "Psycho Goulash is the second album from London based four piece band Agaskodo Teliverk. Sounding like a motorway pileup involving DEERHOOF, GOGOL BORDELLO and CAPTAIN BEEFHEART, AGASKODO produce a unique mashed-up style of guitar based music which combines heavy guitar & keytar riffage with manic beats and schizoid vocals. The band's line-up features the Hungarian guitar playing duo of Miki Kemecsi and Tamas Szabo, Japanese vocalist & keytar player Hiroe Takei, as well as ex-NOISETTES & occasional SEB ROCHFORD stand-in Pharoah S. Russell on drums."